Against Me! 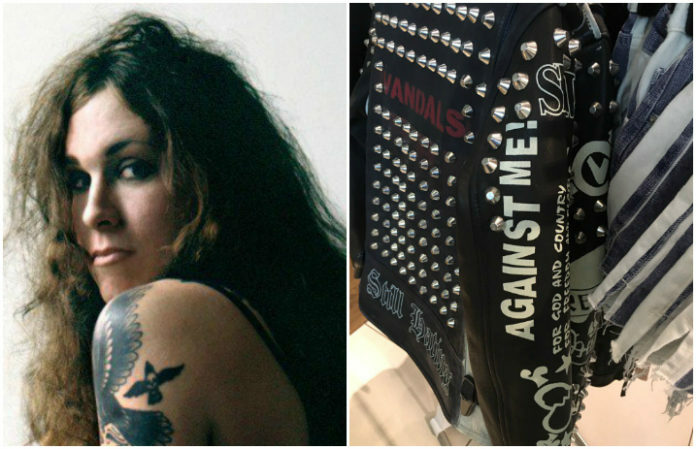 lead singer, Laura Jane Grace, was not happy when she saw UK-based retailer Topshop selling a $700 DIY-inspired leather jacket with her band's name on it. The singer called out the company on her Twitter with a photo of the jacket, which also includes the punk band The Vandals on the back. While some fans are torn between whether or not Laura should be mad, she made it clear in a reply on Twitter that she owns the trademark 'Against Me!'. Topshop has since taken the jacket off of their website, but may still be selling it in stores. 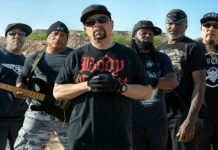 Do you think it was wrong for them to use the band's name? Let us know in the comments below! Watch more: Laura Jane Grace on Future Against Me!